The disruptor that mobile technology is, retail businesses today are becoming more and more tech-driven that is constantly reinventing and improving to run efficiently. A steady rise in smartphone sales has led to proliferation of mobile devices that has changed global buying and selling techniques across businesses. Retail Sales is one of those functions that’s largely impacted through digital transformation. A higher adoption of Sales technologies has led to streamlined sales processes driving sales force productivity, competitive advantage and product profitability. However, businesses are driven today to create value for the customer, who interacts with a brand at multiple touch-points and through multiple channels – emails, pop-ups, stores, online, apps, SMS etc. At the end of the day, there is no online or offline customer but The Customer. Omnichannel retail is therefore not a gallop to a utopian vision but driven largely by technological learnings and long-term transformation for customers and business value creation. Integrating this perspective, Indian Retail majors have steadily leveraged technology to boost customer experience. 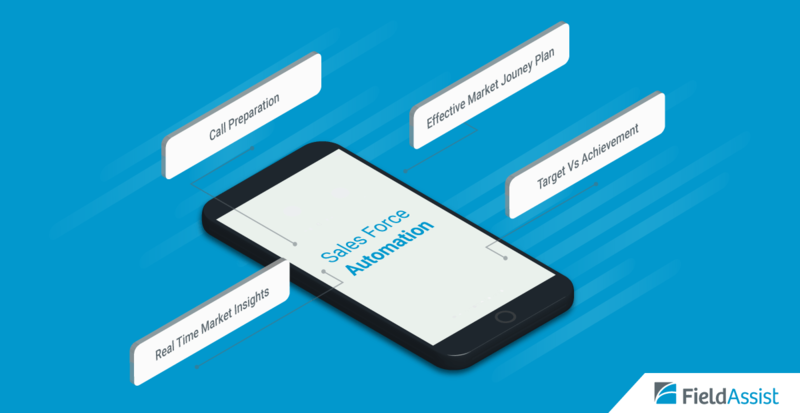 Sales technologies such as SFA has been effective in facilitating and accelerating sales processes, reduce errors and provide accurate real time sales insights. SFA app helps in creating market journey plan for the field force. Prior planning ensures that visit plans are made basis their outlet density, category, location etc. For example, one wants to spend to more time at premium outlets than a regular store. This feature optimizes salesmen’s time while improving their productivity levels. Before making an outlet visit, relevant information pertaining to an outlet on the handheld device help salesmen to plan their call better. Outlet sales Historical data such as SKU wise sales and last 10 visit dates and a host of other parameters increase salesmen’s operational efficiency and their relative performance per outlet. SFA enables real time on-ground data share with top management. Get a holistic view of your sales force in action with real time data from the field and evaluate your sales force productivity levels. Daily, Monthly and Yearly targets can be set and its progress monitored at user and category level. This feature makes it simple for salesperson to create, edit and manage targets. At day start, he can take a quick understanding on his current target achievement levels and plan his day better to improve his productivity strike rate. As businesses transcend into the digital age further, they recognize the fact that technological transformation is having a larger impact on enterprises today. While constantly innovating, what keeps them ahead of competition is their willingness to adopt technology and ride on the digital wave.